Get Loan Starting @ 9.7% from our affiliates including Bajaj Finance and HDFC Bank partners. 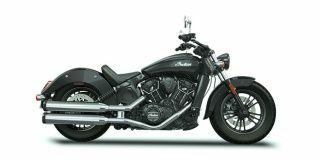 Indian Scout Sixty price in Kolkata starts from Rs. 12.55 lakh (Ex-showroom). Scout Sixty is available in only 1 variant. Indian Scout Sixty's top competitors are Indian Scout (price starting at Rs. 13.60 lakh in Kolkata) and Harley Davidson Iron 883 (price starting at Rs. 9.23 lakh in Kolkata). Share your experiences with Scout Sixty?